I recommend Le’s Pho off Argyle in Uptown for their traditional Vietnamese pho tai bowls. Excellent broth and large portions of meat. Pictured above is the large bowl. 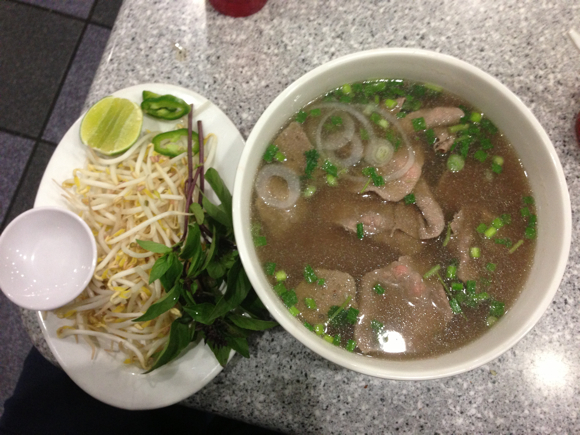 Le’s Pho is located inside a small strip mall at 4925 N Broadway. You’ll see a Le’s Pho sign on the corner with vacant space, but that’s the space they will move into. Keep walking in the strip and you’ll see the restaurant. There’s a parking lot but it might be difficult to park during the busy hours since there’s a supermarket next door sharing the parking space.